One well-known cinematographer named Douglas Thron has spent almost his entire career and lifetime capturing the aftermath of many infernos. 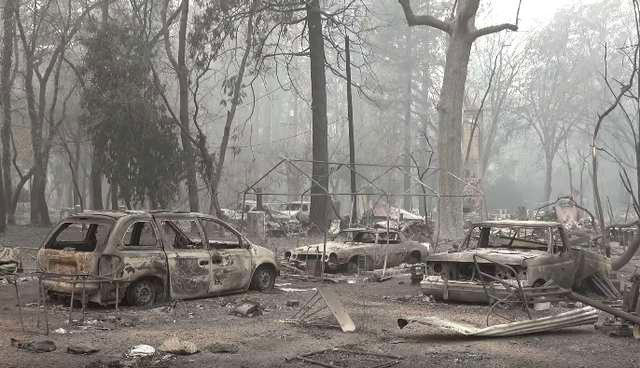 However, what he captured on camera this time after California’s notorious wildfire, nicknamed the ‘campfire’ – was nothing like anything he had ever seen before. “I have never witnessed anything like it. 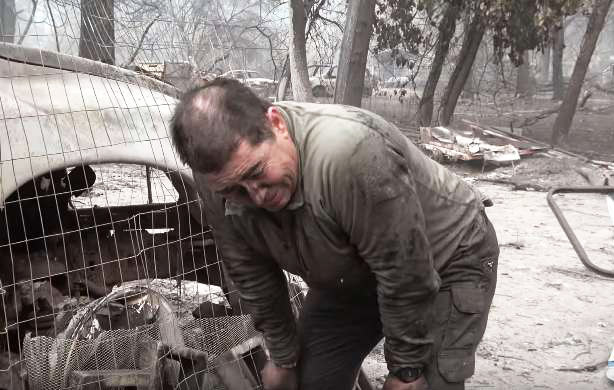 This is the most devastating fire I’ve ever seen,” he recalls. 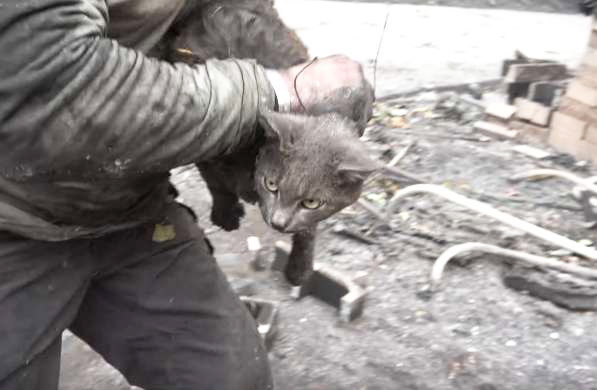 Thron had recently partnered with rescuer Shannon Jay to scour the aftermath of the fire as well as to locate, find and rescue any surviving animals caught in the disaster. Jay is an experienced rescuer, having previously rescued thousands of cats from many areas since she started. The cats they found this time were very skittish, shaken from the fires. While filming, Jay heard one cat’s faint and weak meowing coming from under a charred truck. The cat was traumatized and the fires had severely damaged both her fur coat and paws. It took an hour for Jay to persuade the cat to climb into a pet carrier and onto their vehicle. That moment was emotional for the both of them, shedding tears of relief. The cat was brought to a vet centre and got the medical aid she needed. 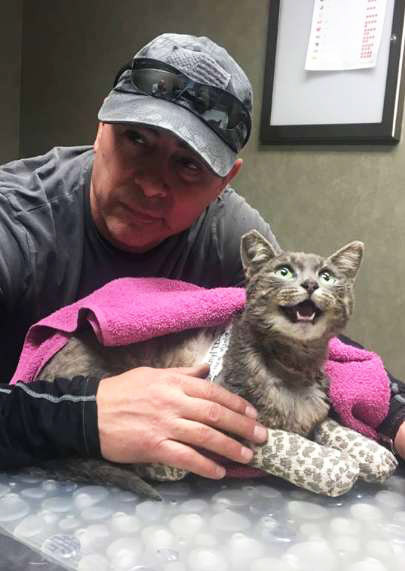 “Her paws were burned, but she should be doing quite well,” Jay says. But this cat may not be the only one who needs help. “It’s beautiful to see. Compassion like his is uncommon nowadays,” Thron praises Jay. Watch the rescue take place in the video below!